There are a few things that come to mind when we refer to peaches being a delight. Such as ‘Peaches & Herb‘ who were an American vocalist duo, once comprising Herb Fame and Francine “Peaches” Hurd Barker. 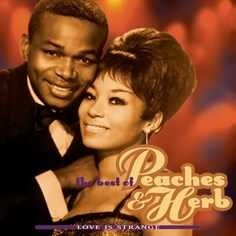 Peaches & Herb were a delight to listen too. There is the beautiful and delightful ‘Peaches Honeyblossom Geldof-Cohen’ who was an English journalist, television presenter and model. 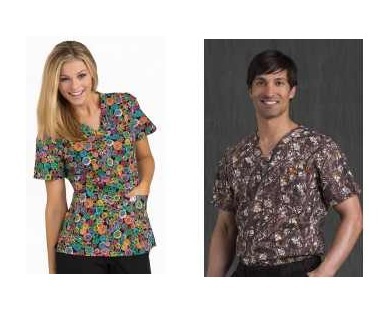 How about those cute and delightful ‘Peaches Scrubs‘ a brand name scrubs for nurses and medical assistants. Then there’s those peaches that were voluntarily recalled nationwide (USA) by Wawona Packing Co. at its Cutler, California, warehouses between June 1 and July 12 of this year (2014), because they were believed to have been contaminated with Listeria monocytogenes. Several other soft skinned fruits as well were recalled, like nectarines, plums and pluots. 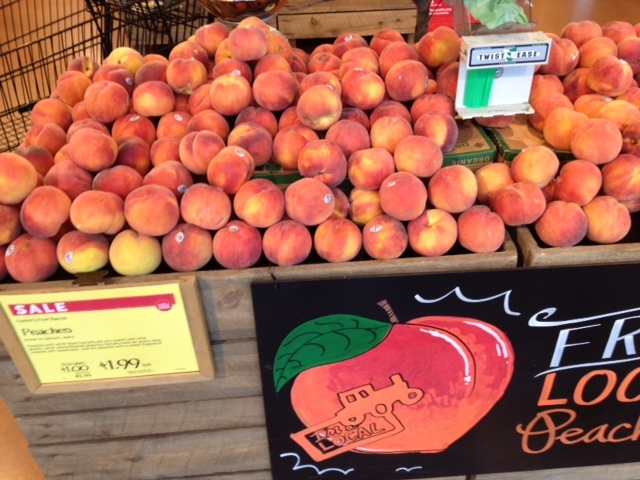 What a big setback for us all who love peaches, and especially National Peach Month (August 2014). Because of that recall, there really have not been any good sales on peaches this year. 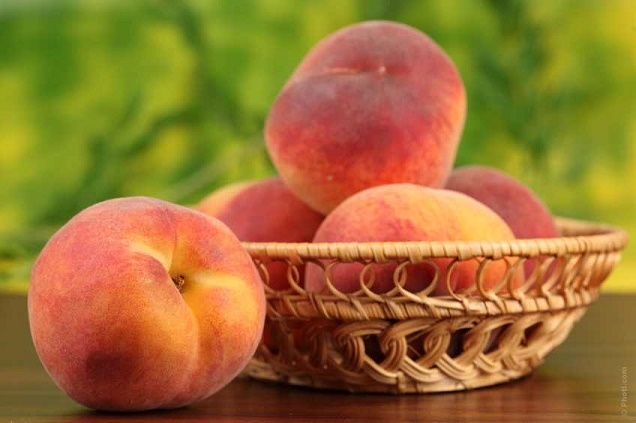 The cultivation of peaches began in China as early as 2000 B.C., and by 300 B.C. the Greeks and Persians were also cultivars. In the first century A.D., Romans began cultivating peaches, and from Italy, the cultivation of peaches spread throughout Europe and to the Americas, where the early settlers planted them all along the eastern coast (Agricultural Marketing Resource Center). There are two basic types of peaches, the ‘clingstone’ and ‘freestone’. The flesh of the ‘clingstone’ clings to the stone or pit of the fruit. The peach flesh of the ‘freestone’ separates easily from the pit or stone. In the United States as of 2012, 26 states are cultivating peaches. In that year 965,420 tons of peaches were harvested. Of that harvest, 490,320 tons were sold as fresh produce, and 475,100 tons were processed, either canned (364,640 tons), flash frozen (90,210 tons) or dried (9,800 tons). If you are able to budget some fresh peaches on your weekly shopping, here are some great recipes to use them in. 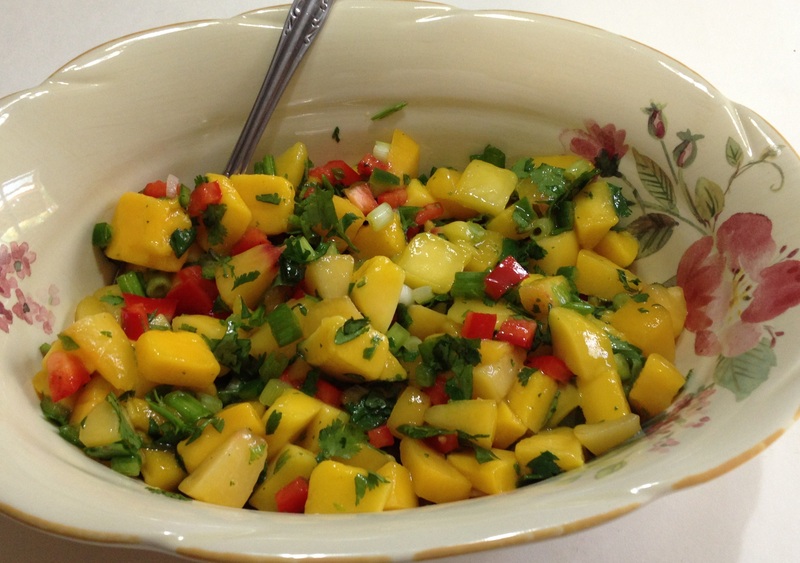 Place the peaches and basil in a medium bowl, and set it aside. Combine the lime zest, sugar, and water in a medium saucepan. Bring to a boil, stirring to dissolve the sugar. Lower the heat and simmer for 2 minutes. Then pour the hot syrup over the peaches and basil. Cover, and chill for 2 hours. You can serve them with Vanilla Pound Cake, Crepes or with a dollop whipped cream. In a large (12-inch) skillet, combine the sugar and ginger with 1/3 cup water and put the pan over medium-high heat. When the water comes to a boil, add the berries and nectarines and cook, stirring frequently, until the nectarines have just started to soften and the juice released from the berries has thickened slightly, 4 to 5 minutes. 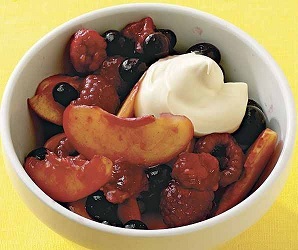 Let cool for a minute and then transfer to individual serving bowls and garnish with a dollop of mascarpone. 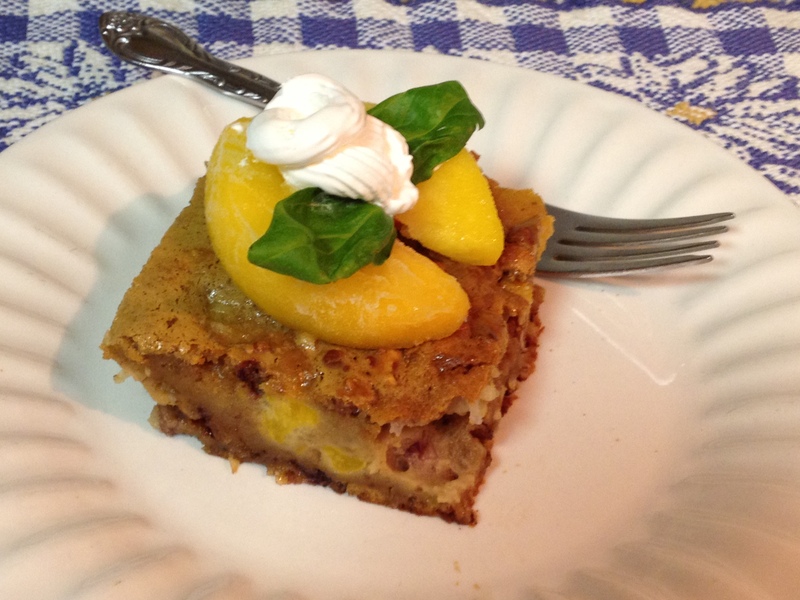 There is also Peach and Mango Salsa and Peach and Pecan Cake. Peaches also have vitamins-A and C, including the trace minerals iron and magnesium, making it a fruit that enriches your blood with oxygen and helps your muscles relax. This entry was posted in Reviews - Kitchen Utensils - Cooking - Food and tagged Americas, Berries, China, Fruit, Herb, Herb Fame, Italy, nectarines, Peach, Peaches, Peaches & Herb, Peaches Honeyblossom, United States. Bookmark the permalink. Yes mascarpone is a very delicious Italian style cream cheese. I hope you guys enjoy the recipe!! Thanks Roger for your visit and comment. Peaches are just delicious this time of year. You have given us some excellent recipes in which to enjoy them. Thanks Jovina. Peaches are one of my favorites. My father had a peach tree in his garden when I was a youth. The tree had so many that we couldn’t keep up with picking them. When I would get home from school the garden was the first place I went to enjoy a peach. My mom always canned them and made jams as well. Thanks for your visit and comment Jovina. Have a great Sunday! Peaches are a favorite of mine; a “peach man” came selling in an old pickup when I was a kid. My grandmother and mom would prepare and preserve them to have all winter long. Too bad about the Listeria and having to send those peaches back. Yes it sure was Jackie. Those processing plants need to keep a check on cleanliness of their facilities. We had a peach tree in our yard growing up. My mom always canned, and made jams from the peaches. Thanks for your comment and stopping by Jackie. Have a great Sunday!! Thanks Chef for the reblog!! Thank you Ronit and thanks for stopping by. I can taste this already!